This is the third part of the story about the family of Elizabeth Toon and her husband, William Holyland. (If you didn't read The butchers of Syston (part one), click here.) or (part two), click here. 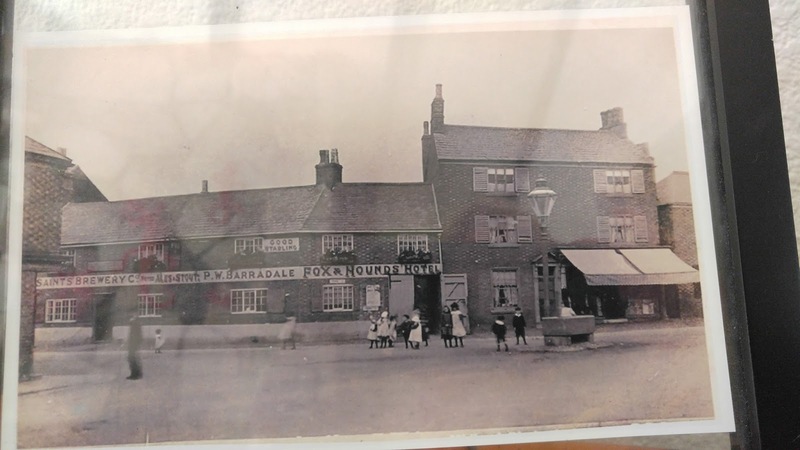 On Whit Monday, 24th May 1847, a holiday, many men were in the Fox and Hounds public house, Syston, at the top of High Street, where it still is today. The landlord in 1847 was a Mr Bishop. The crowd included William Holyland, a man called Wheatcroft, William Needham, an older man called Adcock, who might have been William's neighbour from Cramp Street, Thomas Adcock, who would have been about 75 years old, but could have been any one of many other Syston Adcocks--they go back in Syston as least as long as the Toons, and there were three Adcock households on Cramp Street in 1841. Also in the pub that day was John Bevans--the brother of William Holyland's brother-in-law (William's sister Theodosia's husband's brother), the coal merchant. John Bevans was about thirty years old, in good health, and described as "stout". he'd been at the Fox since lunchtime, and was sitting with the guy named Wheatcroft. John Bevans and Wheatcroft ordered a glass of gin and water each, but before they could drink it, Wheatcroft and Mr Adcock argued; Wheatcroft, who was a big, powerful man, struck Mr Adcock on his hat. Adcock fell down; and a rather drunk William Holyland fell upon Wheatcroft, possibly in defense of old man Adcock. Wheatcroft and Holyland were then fighting, striking each other several times. John Bevans then rose from his seat, saying, "Gently, my lads! Give over," but he didn't join the fight or interfere further. The three fighters--Wheatcroft, Holyland, and I guess Adcock--then rushed from the Fox and Hounds tap room into the passage, followed by John Bevans. They carried on the fight in the passage: Bevans was, at this point, talking to his sister (not sure if this is Bevan's sister, or Holyland's). Holyland got up off the floor, and said to Bevans, "You! You'll take his part!" and punched him in the head. Bevans reeled, dropped to the floor, immediately unconscious. Ten minutes later, John Bevans was dead. He did not utter another word. 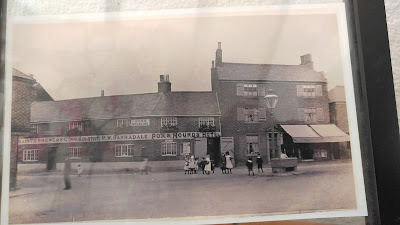 The inquest was held at the Fox and Hounds--talk about revisiting the scene of the crime. Mr Dalley and his assistant carried out a post-mortem examination, where they found that the late John Bevan's brain was much distended with an "effusion of blood", in both parts of the brain, and at the base of the skull, which must have been caused by the rupture of one or more blood vessels. Mr Dalley said that the injury would have been caused by external violence such as a blow or a fall; that the man was otherwise healthy. The inquest declared that the cause of death was manslaughter. William Holyland was arrested on the charge, and committed for trial at the Summer Assizes. His trial was held on July 31st 1847, before Mr Baron Rolfe and a special jury. (Might have been this Baron Rolfe, but I'm not sure.) The first witness to be called was William Needham, who described what had happened in the Fox and Hounds that day. He knew both William Holiday, and the deceased John Bevans, very well, and had known them both for a long time. He'd never seen them argue before. Needham said that William Holyland had had "several jugs of ale", but still knew "what he was about". He testified that Wheatcroft and Adcock had started the disturbance, and that he had seen Wheatcroft, a powerful man, strike Adcock, but that he didn't know why Holyland had joined the fight. Mr Macaulay, the defense for William Holiday, said that it was all very sad... but that there were different degrees of manslaughter. That the calamity would never have happened, if not for the bullying conduct of Wheatcroft. And that the final act would never have happened, if John Bevans had not interfered when William Holyland was defending old man Adcock. That the blow was not struck with ill-feeling, but from an impulse of self-defence. The defense did not deny that the blow had shortened John Bevans' life, but urged the judge and jury to consider the amount of drink that the deceased had also consumed, which predisposed the brain's blood vessels to rupture. The judge summed up the evidence. The jury found William Holiday, related by marriage and friendship to his victim, John Bevans, and husband of Elizabeth Toon: guilty of manslaughter. In passing sentence, the judge said that he agreed that there were some mitigating circumstances, but that he must meet the crime with a level of punishment that showed William Holyland that it was not conduct to be taken lightly... but William Holyland was sentenced to just four months imprisonment, with hard labour. Not very nice, but it could have been worse... he could have been deported to Australia and sentence to ten years, or more. The Leicestershire Mercury remarked that the court "seemed to astonish the court". But wait... there's more. There will be a (part four) to this story. It's not over yet. It gets worse in part four. References: Leicestershire Mercury, Leicester Chronical, through http://findmypast.com and other sources.